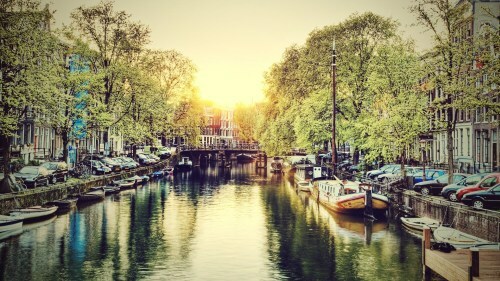 A flight from Toronto to Amsterdam in May or even June for $699 would be a pretty great price these days, and about as low as one could realistically hope for. But take that same $699 pricetag and surround it with July dates, and it turns into a very noteworthy price indeed. July and August tend to be off limits from the airlines as far as amazing price drops to Europe go. For comparison, the next cheapest flights to Amsterdam in July on any airline are with Air Transat, for 23% more. Note: June 27 to July 04 will also work. Potentially June 27 to July 08 as well. Also note: The flights are actually operated by ArkeFly, not Sunwing. Sunwing is just a re-seller of ArkeFly. As far as I know, you can't purchase tickets through ArkeFly directly for this route, only Sunwing. Arkefly is a Dutch charter airline, headquartered in the Netherlands. They fly a Boeing 737-800 on this route. Update: It looks like perhaps the flight there is operated by ArkeFly, and the flight home is with Sunwing, who will be flying their new 787 Boeing Dreamliner twice weekly between Toronto and Amsterdam, starting in July . toronto, yyz, flight deals, europe, western europe, netherlands, sunwing, amsterdam, ams and arkefly.